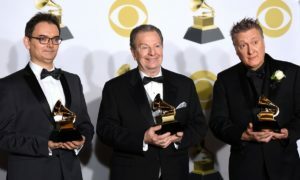 (February 2, 2018) – Jazz Promo, a production company based out of Warwick, New York has proudly announced that two artists they represent took home Grammys at the 2018 60th annual Grammy Awards. 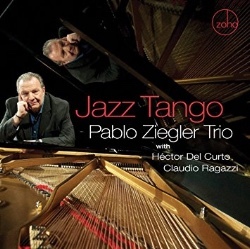 Pablo Ziegler’s “Jazz Tango” brought home a Grammy for Best Latin Jazz Album and Jane Ira Bloom’s “Early Americans” won for Best Surround Sound Album. 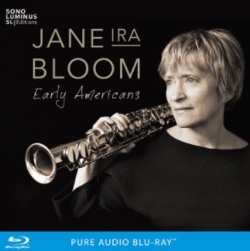 Soaring, poetic, quick silver, spontaneous and instantly identifiable are words used to describe the soprano sound of saxophonist Jane Ira Bloom. 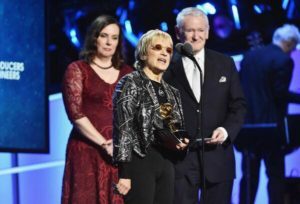 She’s been steadfastly developing her singular voice on the straight horn for 35 years creating a body of music that marks her as an American original. She’s an eight-time winner of the Jazz Journalists Association Award for soprano sax, the Downbeat International Critics Poll, and the Charlie Parker Award for Jazz Innovation and has collaborated with such outstanding jazz artists as Charlie Haden, Ed Blackwell, Kenny Wheeler, Julian Priester, Mark Dresser, Jerry Granelli, Matt Wilson, Billy Hart and Fred Hersch. Her 2014 all-ballads release “Sixteen Sunsets” was nominated for a Grammy Award for surround-sound. 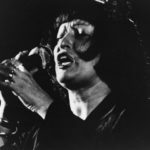 In addition she’s garnered numerous awards for her creativity including a Guggenheim Fellowship in music composition and the Mary Lou Williams Women In Jazz Award for lifetime service to jazz. JIB was the first musician commissioned by the NASA Art Program and was honored to have an asteroid named in her honor by the International Astronomical Union (asteroid 6083janeirabloom). A strong visual thinker, Bloom’s affinity for other art forms has both enriched her music and led to collaborations with other innovative artists such as actors Vanessa Redgrave; Joanne Woodward, painter Dan Namingha, cartoonist Jules Feiffer, director John Sayles and legendary dancer/ choreographer Carmen DeLavallade. Her long-standing interest in space exploration and neuroscience has lead to cutting edge recording projects inspired by outer and inner space. Performance venues include Carnegie Hall, the Kennedy Center, Dizzy’s Club Jazz @ Lincoln Center, St. John the Divine Cathedral and the Einstein Planetarium in Washington DC. She has composed several works commissioned through the Chamber Music America/ Doris Duke New Jazz Works Program including Chasing Paint, a series of compositions inspired by painter Jackson Pollock, Mental Weather, a suite of neuroscience inspired pieces, and recently Wild Lines, a jazz re-imagining of Emily Dickinson’s poetry that premiered at UMASS/ Amherst in the poet’s hometown. inspiration merging her music with the world of arts and ideas. Other Jazz Promo Services clients include, Jack Kleinsinger’s Highlights In Jazz- New York’s Longest Running Jazz Concert Series, The Falcon in Marlboro, NY, The Jazz Forum Tarrytown, NY, Zoho Music Westchester, NY Hudson Valley Jazz Festival, Sugar Loaf Music among many others and a diverse roster of performing jazz, blues and world music artists that include, Denny Zeitlin, Roger Kellaway, Dave Stryker, Steve Slagle, Frank Vignola to name a few. 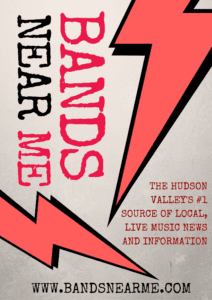 Jazz Promo Services has been based in Warwick, NY for the past 17 years. The president of Jazz Promo Services, Jim Eigo, is not just passionate about the business part of the music business. 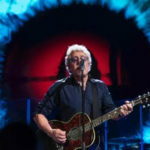 As an enthusiastic lifelong jazz listener and an avid supporter of the arts, he’s a visible presence at artist’s gigs, festivals and industry conferences. For more information on Jazz Promo Services, CLICK HERE.